This exceptional antique Victorian diamond brooch has been crafted in 9ct white gold. 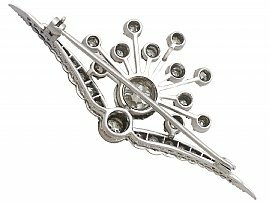 The brooch displays a fine and impressive feature 1.45 ct Old European round cut diamond silver set to the centre of the sunburst design. 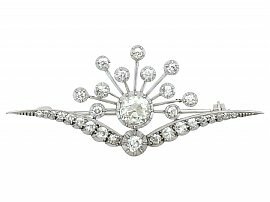 Eleven further Old European round cut diamonds fan out independently from the feature stone. The pierced decorated lower portion of this unusual design has a winged appearance, silver set with a central Old European round cut diamond flanked by a total of eighteen Old European round cut diamonds, graduating in size, dependant on position. This impressive Victorian sunburst diamond brooch secures to the reverse with a hinged pin and clasp. 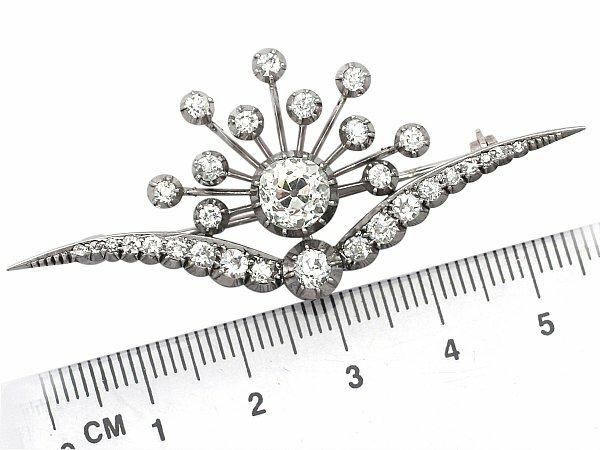 This antique brooch is supplied with an independent diamond grading certificate for the feature diamond, in addition to the diamond grading report card illustrated. 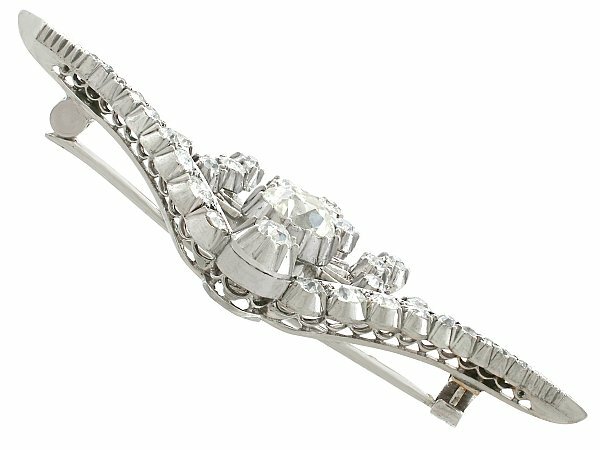 This brooch has been independently tested using state of the art technology (Niton XL2 Analyzer) and verified as 9ct gold. Images do not always reflect the true colour and brilliance of gemstones and diamonds. The video however provides a truer representation of the actual colour and showcases each stone. 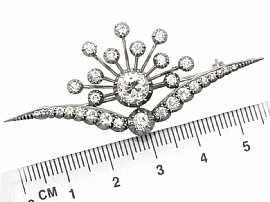 This exceptional Victorian brooch is fine quality, set with very high colour graded, old cut diamonds. The brooch is a very good gauge of gold and is in excellent condition. 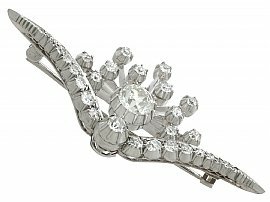 Reflections in photographs may detract from the true representation of this fine antique diamond brooch. 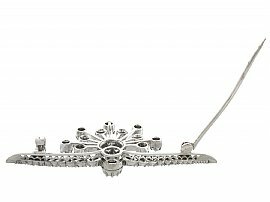 Width across wings 5.8cm / 2.2"
Width across sunburst 2.5cm / 1"